The following handwritten note is dated July 1938. 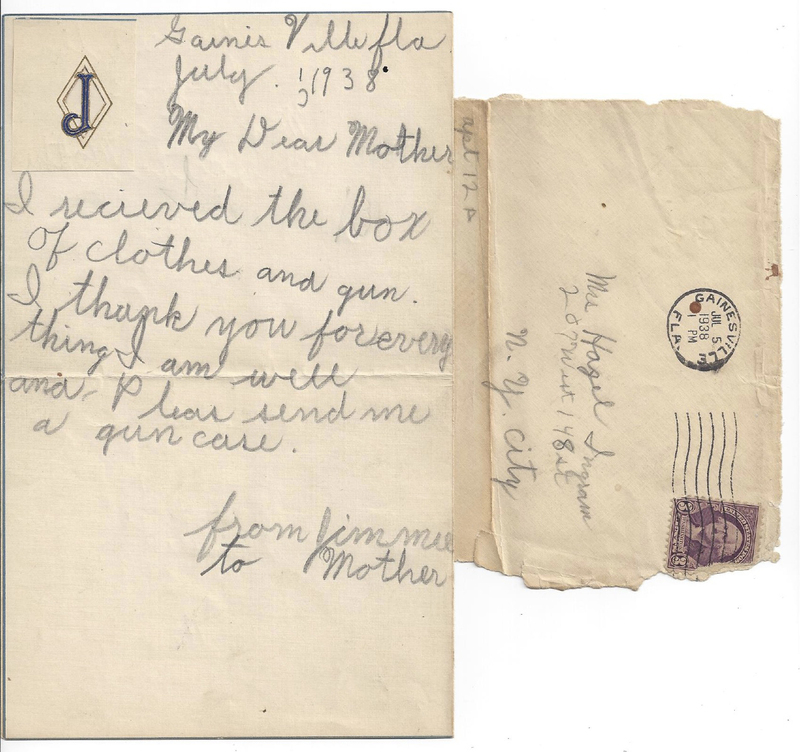 It was written by my 7 year old father James to his mother (my grandmother). James was spending the summer with his paternal grandparents in Florida after the recent divorce of his parents. It was a very vulnerable and unsteady time for my young father. This letter holds special meaning to me as it offers a small window into my father’s childhood. At this time his parents and grandparents were trying to make every effort to maintain a sense of family and stability for my father, who was an only child. Sending him away to be with loving and nurturing grandparents at this time must have been very comforting to this young boy.